Fishing guides can be hired to help you learn more about the hot-spots and how to navigate around Reelfoot Lake. Most of our local guides have been raised right here on Reelfoot Lake or have been fishing Reelfoot Lake waters for many years. Visit our “Lodging Page” most of our Resorts have there own Guide Service & Packages! Get Ready to catch the excitement! Fishermen come from all over the world to enjoy fantastic crappie, catfish, bass and bluegill fishing throughout the year. 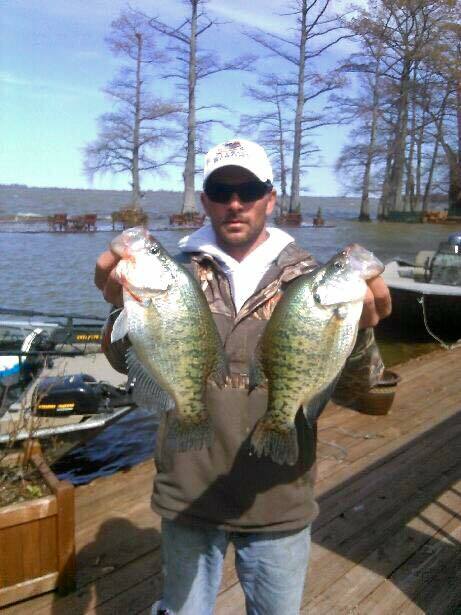 Reelfoot Lake is stocked with plenty of trophy fish, just waiting for you!